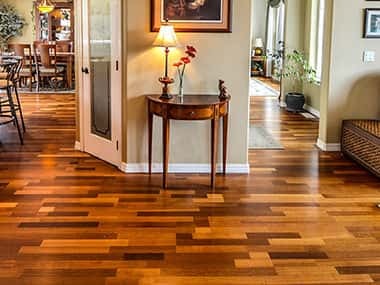 Are you considering your options for the best hardwood flooring company Duluth Georgia offers? Choosing a company that uses the highest quality materials and has experienced skilled flooring technicians is of utmost importance. Less than the best is just not good enough when you want your hardwood floors to look beautiful and withstand the test of time and traffic. At Atlanta Floors, we understand how important this choice is for the appearance and functionality in your home or business. That’s why we use only the best materials in the hardwood flooring industry and the top hardwood flooring professionals in the area. For more than a decade, we have been creating satisfied customers who are proud of their hardwood floors. We’re talking the kind of wood floors and staircases that make visitors stop and admire. How do we do it? With expert craftsmanship, premium flooring materials, and professionals who are just as passionate about your floors as you are. If you are a homeowner or business in Duluth, GA, looking for hardwood floor refinishing or installation services, call Atlanta Floors. We are also proud of our streamlined services that ensure a beautiful result each and every time. We have the hardwood floor refinishing, repairing, and installation processes down to a science. This also means we can keep our prices affordable—we don’t cut corners, but we also don’t waste time! What Can You Expect from Our Hardwood Flooring Specialists? Professionalism. It’s at the heart of everything we do. From taking your calls and answering your questions to coming into your home or business to perfect your flooring project, we do it all with expertise and great care. There’s a reason our customers tell their friends and family about Atlanta Floors. We never take a project for granted, and enjoy seeing our customers thrilled with the results. Whatever need you may have related to your hardwood floors, we can deliver the professional services. We expertly work with all species of wood, such as solid wood, engineered wood and laminate flooring, as well as a variety of installation styles, such as floating, nail down or glue down. If you have a vision or your hardwood flooring, let our team at Atlanta Floors bring it to life. Contact us today for answers to your questions about your next hardwood flooring project for your residential or commercial space. Schedule a consultation or get a quote now from the hardwood flooring company Duluth GA homeowners and businesses trust to do the job right the first time.